Ecology is the study of the interactions of organisms with one another and their environment. The name, Oecologie, provided by Haeckel in 1866, is based on the Greek term "oikos," the family household, which embodied the view of the environment and organisms as a household (Kingsland, 1991). Ecology was developed to provide a mechanistic backbone to the science of natural history that was popular but becoming somewhat passé in the late 1800s. There was great interest in providing a scientific basis for examining the mechanisms behind Darwin's concept of "survival of the fittest" and the process of natural selection. Because of this origin, the field of ecology is entwined with evolution and it is often presupposed that the basis of ecological relationships is one of long evolutionary history. Human disturbances to ecosystems can result in interactions among organisms that are not based on evolutionary history and provide opportunities to test this presupposition. Ecology has recently moved from intellectual obscurity to prominence as a science that could provide tools for approaching environmental problems. Odum (1997) suggested that ecology has matured to "a basic science of the total environment." Contributions that ecology has made and will continue to make to science and society are a result of its interdisciplinary nature. Its roots are in geology, chemistry, mathematics, and physics, as well as botany, zoology, microbiology, genetics, and molecular biology. The need to provide answers to ecological questions has driven methodological developments in multiple fields. Development of techniques for examining population and community structure at the molecular level has and will continue to provide answers to hypotheses that were initially proposed by Darwin. As a field, ecology developed from research on plant and animal systems; microbial systems differ in significant ways. The "species concept" adopted by many plant and animal biologists defines a species as an interbreeding group of organisms that is reproductively (and genetically) isolated from other organisms. Most microbial species reproduce asexually. They do not interbreed and this part of the biological species concept does not apply. Genetic exchange is not a fundamental part of the bacterial life cycle and, for many species and environments, it is rare (Young, 1998). Yet, there are mechanisms that can cause genetic transfer between species, sometimes disparately related. This implies that bacterial species are not genetically isolated, so the second part of the biological species concept may also not apply. Classification of organisms into species has two goals: (1) the classification should reflect the evolutionary history of the organisms and (2) it should be useful for dividing organisms into groups with different physiological and ecological characteristics. The biological species concept seems to satisfy both goals for plants and animals reasonably well (although it is now widely criticized). Before DNA could be manipulated in research, the species definition used by microbiol-ogists differentiated individual species based on morphology or physiology, essentially adopting the second goal of taxonomy mentioned above as a species concept. Microbial taxonomy based on these definitions led to frustration. 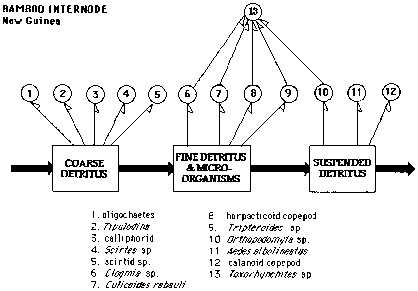 For much of the latter half of the 20th century, microbiologists abandoned the goal of having taxonomy reflect evolutionary history (Woese, 1994). Bacterial species are currently defined as a collection of strains with DNA-DNA reassociation similarity of >70%. This creates groups that satisfy the goals of taxonomy, but in many cases it provides no evolutionary or phenotypic information about the groups created. It is no more universal than the biological species concept since it would not seem to apply to many well-recognized species of eukaryotes (for example, the human and chimpanzee DNA reassociation similarity is 98.4%) (Staley, 1997). With the sequencing of DNA in the past 20 years, the evolutionary basis for microbial taxonomy has returned. An individual gene sequence may provide narrow information about a potential phenotype or may provide a view of evolutionary relationships that is limited by the rate of mutation in the gene and the amount of horizontal transfer it has experienced. Taxonomy is currently moving toward genomic approaches (i.e., genome-wide sequencing efforts) that may allow species to be defined by inferring evolutionary relationships from large sets of gene sequences, while at the same time obtaining information about the presence of many genes with important phenotypic consequences. The organization of the field of ecology reflects a hierarchical approach that includes studies of individuals, populations, communities, and ecosystems. Studies that examine individuals focus on responses to and impacts on abiotic factors at evolutionary, physiological, and behavioral levels. Studies of populations include evaluation of the impacts of intraspecific competition on the density of organisms and social, genetic, and spatial organization of organisms. Community level work involves interspecific competition, changes in the number and diversity of species as organized by multiple species interactions, succession, and equilibrium and non-equilibrium dynamics of community regulation. The broadest subdivision of ecology is ecosystems ecology, which focuses on food webs, energy transformations, and nutrient transfers within systems and across global scales. In this chapter, we focus on the processes that drive community structure (number and types of species) and the resultant impacts on ecosystem function (processes of energy transformations and nutrient turnover). An additional impetus for the emphasis on ecology in studying microorganisms and their roles within soils in the 21st century is the need for sustainable agriculture, forestry, and natural resource management. The integrative approach provided by the field of ecology aids in understanding the complexity of soil systems necessary to manage systems that will not become degraded over the long term. In return, examining soils as complex integrated systems has great potential to influence ecological concepts and the science of ecology in general, and soils can be described as the last ecological frontier. A large part of ecology is the study of how organisms become distributed in the environment. Why are these species found in one area and not in others? The area an organism lives in is called its "habitat." Organisms that live in one habitat make up the "community," and the numbers and kinds of organisms present are referred to as "community structure." The emerging field of community assembly theory is concerned with the search for rules governing community structure using a synthetic, holistic approach (Keddy, 1992; Weiher and Keddy, 1999). Communities are composed of populations or subpopulations of various species. A "population" is a collection of organisms belonging to a single species with potential for interaction. This makes the spatial scale of a population dependent on the mobility of the species. A study may encompass only part of a true population (e.g., migrating species) or encompass multiple, isolated populations (e.g., soil bacteria). Given the degree to which species are differentially mobile, it is normal for both situations to arise in the same study. There are numerous examples of studies for which predicting the population density of organisms is necessary (e.g., for endangered species, commercial fish, timber). In soil microbiology, it is desirable to be able to forecast population dynamics of plant pathogens or inoculant species such as rhizobia, biocontrol agents, and genetically modified organisms. Population dynamics form the basis of community assembly, and interactions with the community have a profound influence on populations. Identifying populations and studying them in situ are difficult and have to date limited true understanding of the complexity of community assembly in soil systems.